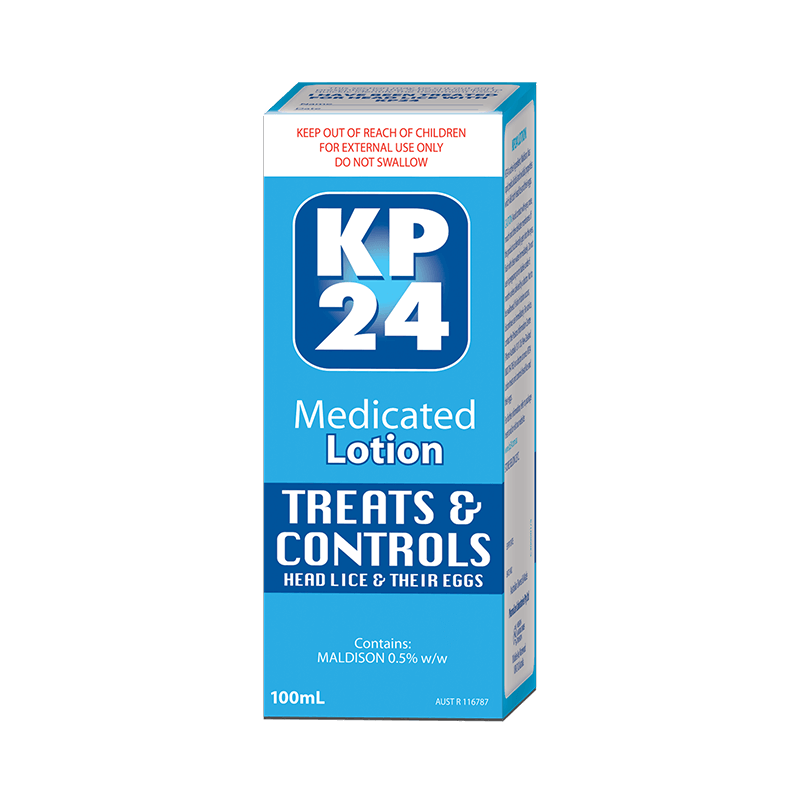 KP24 Medicated Lotion is specially formulated to effectively treat head lice and their eggs. 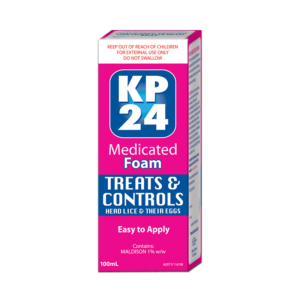 KP24 Medicated Lotion treats headlice and stops future infestations by treating lice eggs. 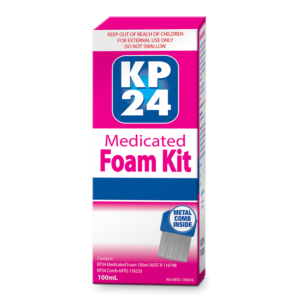 Pour KP24 medicated Lotion onto dry hair. Use enough to thoroughly cover scalp, massage well into the scalp to provide good contact with eggs. You should not need more than 25 mL for shoulder length hair. Allow to dry naturally. 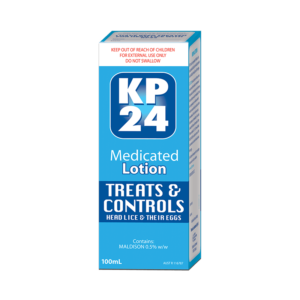 If you leave the lotion on for a minimum period of 12 hours it will provide you with a preventative effect from reinfestation. Remove all the eggs (nits) you can find after treatment.